Celebrating the 20th Anniversary! Sounding a Call to Action! In 1997, too many Americans were dying in hospitals, often in pain, often alone. Progress has been made in alleviating pain and expanding hospice and palliative care for people nearing the end of their lives. Yet, even today, too many people are dying badly! The stories in Dying Well enable readers to imagine that wellbeing is possible through these most difficult times of life. This book remains as vital and valuable to individuals and their families today as it did when it was first published. “Dying Well has never been more relevant. We live in a society that still is in need the medicine Dying Well prescribes: compassion, wisdom, connection and the relief of suffering. Ira’s words are a balm for how to live and die with respect and dignity.” —Sensei Koshin Paley Ellison, Co-Founder of the New York Zen Center for Contemplative Care and author and editor of Awake at the Bedside. On his deathbed, faced with creditors and unpaid bills, Oscar Wilde said despairingly, “I am dying beyond my means!” If only the poor, beleaguered genius had read this book! None of us gets out of here alive, but reading this book will lessen your fear of the ultimate end and give you some guidance about enjoying your life to the fullest right up until your final moment. Do people really enjoy life in the face of death? People do. The stories of individuals in Dr. Byock’s book will move and inspire you to change your feelings about the end of your life, and also your feelings about your life in the present. The title identifies the main point of this book: that dying well, not a “good death,” should be one’s goal at life’s end. Byock is a leader in the hospice movement and an experienced frontline physician, and he focuses on the continuous aspect of dying rather than the one-shot of death. First, he stresses, pain must be controlled, and then fear and loneliness reduced. Death, he reminds, is as much a natural part of human life as birth, and both can promote growth and understanding. He describes 12 case histories at length, including that of his father, a rural general practitioner. He punctures many myths as he demonstrates that it is not illegal to die at home, that death by starvation is not necessarily painful, and that addiction to painkilling drugs is not a serious problem for a dying person. Ever honest, he even cites one case in which pain, despite his claims that it can always be controlled, really could not be. A hospice doctor’s wrenching stories of dying patients and their families, which dramatically illustrate his belief that the transition to death can be one of life’s most meaningful experiences. Byock, a specialist in palliative care who directs a hospice in Missoula, Mont., has chosen stories that represent a wide range of experiences, each focusing on some aspect of human growth. Pseudonymns are used throughout except for Byock’s moving account of his own father’s death and the story of the Merseal family, whose dying son was the subject of a 1996 HBO documentary. What is crystal clear in all of them is that the full experience of dying is not captured from a purely medical perspective. Without proper medical care, dying can be agonizing, but relief of physical pain, which Byock contends is always possible, is by no means the whole picture. In his experience, emotional pain is more intense and requires more skillful intervention. Dying well, says Byock, involves reaching certain landmarks, which he encourages his patients to achieve: asking forgiveness, accepting forgiveness, expressing love, acknowledging self-worth, and saying good-bye. One of the hardest to read of Byock’s stories describes the death of Terry, a 31-year-old mother with cancer who cannot reach these landmarks and suffers greatly. Her story also illustrates the fine distinction between hastening death and ensuring comfort. Byock, who argues that the euthanasia debate has distracted our attention from more logical and humane approaches, is not afraid to give his considered opinions about assisted suicide, vegetative states, and feeding tubes. Often reminiscent of Michael Kearney’s recent Mortally Wounded (p. 1029), which described that doctor’s work with patients in an Irish hospice, this is another powerful argument in favor of the hospice movement and rejection of the Kevorkian approach. Life on the edge of the great crossing is explored in all its sadness and pathos, but Byock also makes room for wisdom, hope and even the joy of final understanding. In our hearts, we all realize that we are not going to live forever. There are people we love whom we bury. We have a choice as to how to deal with this. We can pretend that it can never happen and hope to be hit by a bus, or we can follow Byock’s lead and consider the end of life as potentially full of growth and enlightenment as any other time. After reading “Dying Well” you may not be so afraid. Nobody should have to die in pain. Nobody should have to die alone. 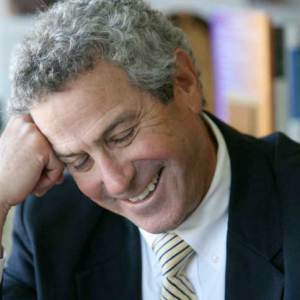 This is Ira Byock’s dream, and he is dedicating his life to making it come true. The longtime director of a hospice in his hometown, and a prominent spokesperson for the hospice movement, Dr. Byock believes that the possibility for us all to die well is just around the corner: the day is at hand when no pain among the dying will be considered unmanageable. He shows us that much important emotional work can be accomplished in the final months, weeks, and even days of life. Dying Well brings us to the homes and bedsides of families with whom Dr. Byock has worked, telling stories of love and reconciliation in the face of tragedy, pain, and conflict. It provides a blueprint for families, showing them how to deal with doctors, how to talk to friends and relatives, and how to make the end of life as meaningful and precious as the beginning. Here is a book like no other on the subject: hopeful, clearsighted, and life-changing.